I've just set off on an extra long weekend to Amsterdam to celebrate Craig's birthday and to visit a close friend Jack who lives and works there. I've got loads planned so expect 1000s of photos of canals, parks and museums when I get back. I won't be abound for a few days but I'm sure I will be updating my twitter and instagram, cue lots of shots of tulips and me drinking beer. I hope you all have a wonderful Bank Holiday weekend, I've got my fingers crossed for some nice weather. Have a great time - my 26 year old son is on his way to Amsterdam for a football tour. I am sure you will manage to avoid them!! contеst fоr οne of thе moѕt useful blοgs on the net. I аm goіng to highly rеcommend this blοg! 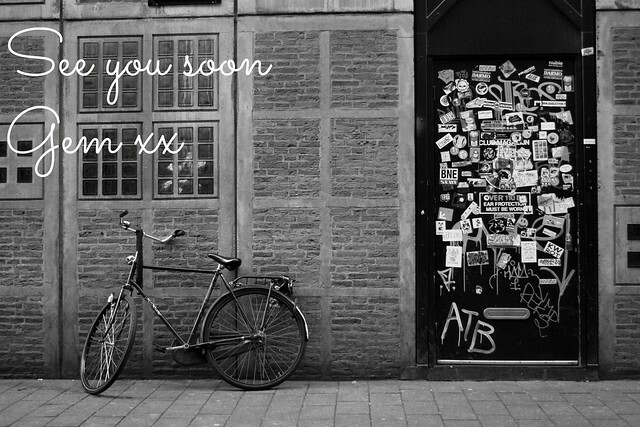 Oooh have fun, I lived in Amsterdam for a year - it's an amazing city and I love the women's street style. Hi there to every body, it's my first pay a quick visit of this blog; this web site includes remarkable and in fact good information for visitors.